Set Back From the Centre of Whistler Village - Summit Boutique Hotel sits in a quieter location next to the 2010 Winter Olympic Rings. In the heart of Whistler’s food district, a wonderful selection of dining options from around the world as well as the biggest supermarket in town are on the doorstep. A free, on demand shuttle service is available to the gondolas for those who don’t fancy the 7 minute stroll along the pedestrianized path. Spacious, Modern and Friendly - The newly refurbished Summit is a fun boutique hotel with an eye for all the little homely comforts, leaving you free to think only of the adventures Whistler has to offer outside your door. Tranquil Outdoor Pool and Patio Area – The beautiful and secluded outdoor area with heated pool, hot tub and sauna is surrounded by parkland, the perfect way to relax and unwind. Immerse yourself in a Sea of Royal Comfort - Indulge in a haven of luxury at the Taman Sari Royal Heritage Spa. Situated in the grounds of the hotel, with access to the pool and patio, the spa at the Summit Lodge gives you an unparalleled opportunity to relax and rejuvenate with many different treatments on offer. Useful Features - 24-hour front desk and concierge, Daily housekeeping service, Complimentary W-Fi, safety deposit boxes at front desk, laundry facilities available including same day dry cleaning, underground parking available ($20/night plus tax). Top Quality In-house Dining - Elements Urban Tapas Parlour offers tapas, fresh seafood, infused martinis and rare wines. 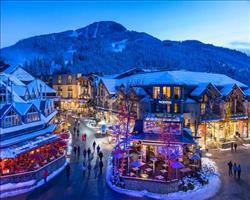 Dine and unwind or enjoy the casual nightlife with Whistler’s best small plate cuisine. Open daily for breakfast, lunch & dinner. Sachi Sushi is often considered Whistler’s number one choice for Japanese fare, open daily for dinner, and for lunch Wednesday to Saturday. All rooms include fully equipped kitchenette with granite worktops, en suite full bathroom with bath and hair dryer, bathrobes, Malin and Goetz toiletties, complimentary Wi-Fi, TV, telephone, iPad, clock radio with 40 digital music channels, iron & ironing board, in-room coffee and tea, free local calls, snack & beverage selection, wake up & dry cleaning services available, daily housekeeping, with room service available. Deluxe Studio – (sleeps 2-4) 2 x Queen beds or 1 king bed and 1 queen sofa bed. Fully equipped kitchenette. En suite full bathroom with tub, hair dryer, Bath robes and Malin+Goetz bathroom products. 1 Bedroom Suite – (sleeps 2-4) 1 king bed. Living room with double sofa bed, dining area for four. Fully equipped kitchenette. Ensuite full bathroom with bath, hair dryer, bath robes and Malin+Goetz bathroom products. Executive Suite – (sleeps 2-4) 1 king bed and 1 double sofa bed. Fully equipped kitchenette. Ensuite full bathroom with bath, hair dryer, bath robes and Malin+Goetz bathroom products. We update Summit Lodge Boutique Hotel's details often, but facilities do change. e.g. some extras listed by the supplier as "free" or included might only be for the first time you use them, or for one time per party, then charged for further use. If any specific feature is essential to your holiday, make sure you ask us to confirm the details of it before you book your holiday. 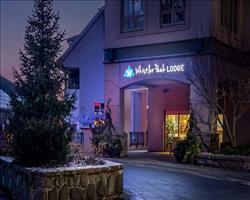 This package holiday to Summit Lodge Boutique Hotel in Whistler, Canada departs Saturday 30th November 2019, for a 10 night stay on a "room only" board basis. Whistler lift pass price last reported as $624 (adult 6 day). Ask for a quote when booking Summit Lodge Boutique Hotel. 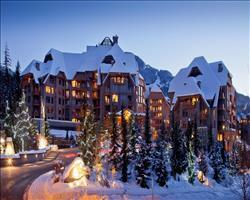 Crystal Lodge Whistler Canada, Heathrow to Vancouver 30th November. Whistler Peak Lodge Whistler Canada, Heathrow to Vancouver 30th November. Whistler Cascade ... Whistler Canada, Heathrow to Vancouver 30th November. 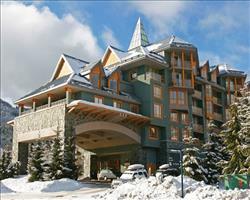 The Westin Resort... Whistler Canada, Heathrow to Vancouver 30th November. 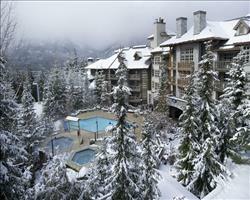 Blackcomb Springs... Whistler Canada, Heathrow to Vancouver 30th November. 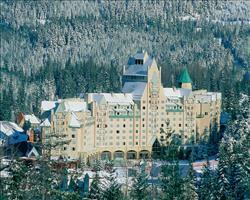 Fairmont Chateau ... Whistler Canada, Heathrow to Vancouver 30th November. 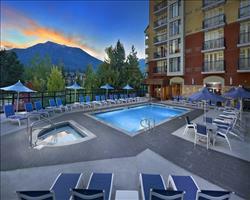 Hilton Whistler R... Whistler Canada, Heathrow to Vancouver 30th November. 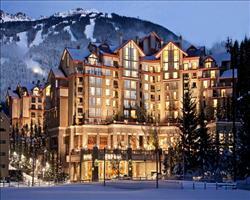 Four Seasons Reso... Whistler Canada, Heathrow to Vancouver 30th November.